New York, NY – December 8, 2015 – The Trustworthy Accountability Group (TAG), an advertising industry initiative to fight criminal activity in the digital advertising supply chain, today announced that many of the world’s largest brand advertisers and agencies have pledged to require their ad partners to take aggressive steps to help fight the $2.4 billion lost to pirate sites each year. Advertisers signing the TAG anti-piracy pledge include Allstate, American Express, Boehringer Ingelheim, Colgate-Palmolive, Comcast, Dole Packaged Foods, Dr. Pepper Snapple Group, Intel, Johnson & Johnson, Kellogg’s, MillerCoors, NBCUniversal, State Farm, Unilever, Viacom, Walmart, The Walt Disney Company, Warner Bros., Yamaha, and 21st Century Fox. Agencies signing the pledge include GroupM, Horizon Media, Maxus Global, MediaCom, MediaVest, Mindshare, MEC, Neo@Ogilvy, Starcom Mediavest Group, VivaKi, Xaxis, and ZenithOptimedia Group. 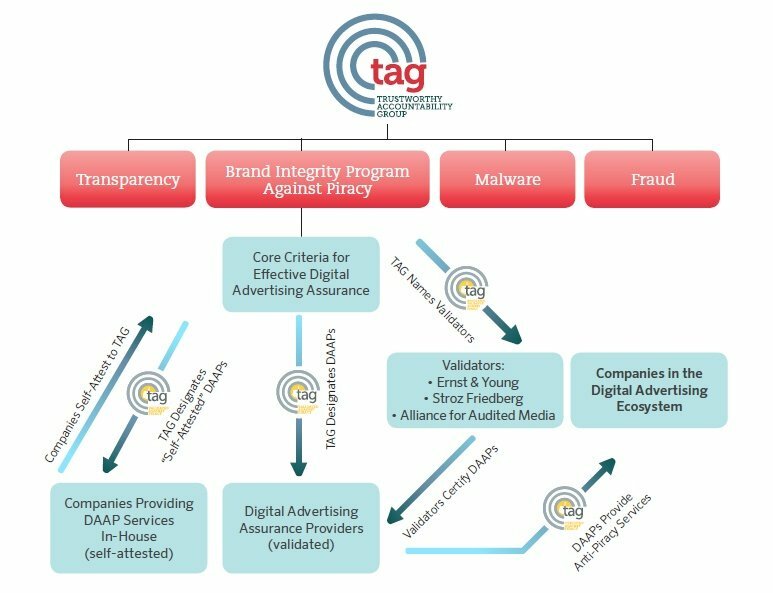 TAG also announced that the first group of TAG-validated providers of anti-piracy services, including comScore, DoubleVerify, Incopro, Integral Ad Science, sovrn, Veri-Site, and whiteBULLET, are completing the validation process. Those companies, which undergo an independent third-party audit process, will provide anti-piracy services to help cut off the flow of advertising revenue to sites that profit from pirated content and counterfeit goods. 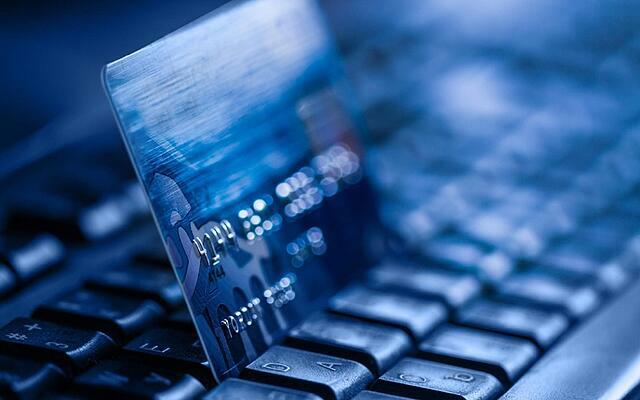 In addition, digital ad leaders OpenX, Rocket Fuel, PubMatic, and SpotX were certified in their anti-piracy efforts through a TAG-designed self-attestation process. The TAG anti-piracy program helps prevent ad placement on websites that facilitate distribution of pirated content and/or the illegal dissemination of counterfeit goods. Through the program, providers of anti-piracy tools and services must be validated as Digital Advertising Assurance Providers (DAAPs) by independent third-parties including Stroz Friedberg, Ernst & Young, and the Alliance for Audited Media, in coordination with TAG. To be validated, DAAP candidates must show how they identify risky sites, prevent ad placement, disrupt site transactions, monitor and assess the safety of ad placements, and/or prevent payment to sites that are deemed likely to offer pirated content or counterfeit goods. Companies using a DAAP’s anti-piracy services can receive a TAG “Certified Against Piracy” seal to demonstrate their compliance with TAG’s anti-piracy standards. By signing the TAG anti-piracy pledge, companies commit to take “commercially reasonable steps to minimize the inadvertent placement of digital advertising on websites or other media properties” that support piracy or counterfeit content by January 1, 2016. Companies agree to fulfill that pledge in a manner consistent with TAG’s anti-piracy efforts which may include, among other things, directly hiring a DAAP, using ad placement services that have been certified by TAG, or by doing business exclusively with ad agencies that have been certified by TAG. According to a study released last week by the Interactive Advertising Bureau (IAB) and EY, pirated content is costing the digital ad industry roughly $2.4 billion each year, with roughly two billion dollars of that total lost to consumers who do not pay for infringed content while an additional $456 million is lost in potential advertising revenue. To use a TAG-validated provider of anti-piracy services, companies can contact the DAAPs named herein. More information and the full criteria developed for the TAG Brand Integrity Program Against Piracy – including a full list of companies that have taken the TAG Pledge – can be found at tagtoday.net/piracy. The Trustworthy Accountability Group was created to spur transformational improvement at scale across the digital advertising ecosystem, focusing on four core areas: eliminating fraudulent traffic, combating malware, fighting ad-supported Internet piracy to promote brand integrity, and promoting brand safety through greater transparency. For more information on TAG, please visit tagtoday.net.